Deciding where to stay in Seoul? If you want a good service and comfy stay, this is my recommendation. Read my full review of Seoul Dalbit Guesthouse. Since I shared my trip to South Korea few months ago, I got few mails about people asking everything I know about my stay in Seoul Dalbit Guesthouse because I can feel you guys. Deciding where to stay when travelling is the most important part on top of all, especially if you are in a tight budget. This time around I just feel I need to conclude my trip to Seoul first before starting to the next destination, Busan. At least I can feel proud I have completed my travelogue in Seoul. If you don’t know how to decide your staying place if you have a plan to travel, here are some tips you can used. When you have a certain budget for your accommodation, from there you can decide on what type of accommodation you can choose from, whether to stay in Hotel, Hostel, Apartment or Guesthouse. When your stay is nearer to the city area or tourist attraction, the cost are mostly higher than the one located a bit further. Do also check where is the nearest public transportation station so it will be easier for you to move around. Decide what you need in a stay like sharing bathroom or private bathroom, cooking area, breakfast service, laundry service, room service, etc. You can check the reviews on the booking page like agoda, booking.com, trivago, expedia and also blogs before deciding which one suits you the best. The one I choose for my stay in Seoul was Seoul Dalbit Guesthouse, Dongdaemun. 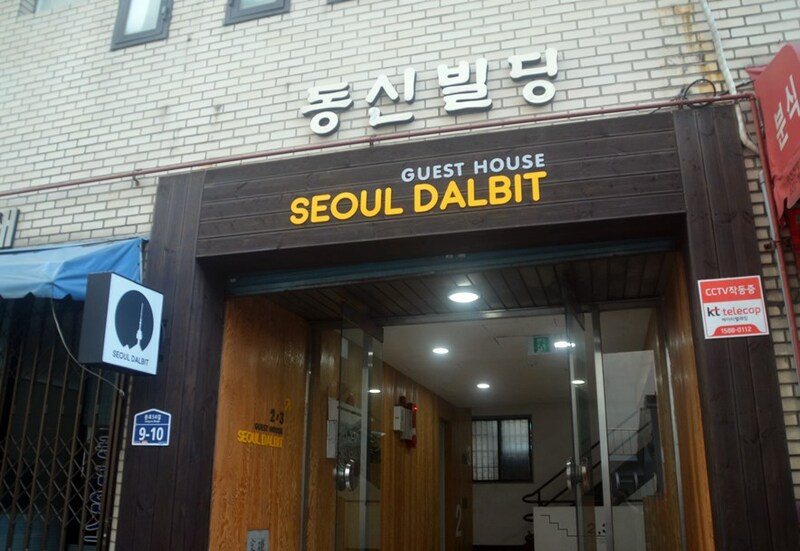 During my 6 days and 5 nights in Seoul, I stayed at Seoul Dalbit Guesthouse, located at Dongdaemun. I actually had a hard time remembering where I stayed, it only been few months please where you at memories? I feel so blank and lost and I don’t really remember where I save all my trips file. Thank God I found everything back hihi. This stay is hosted by 4 mens, they are friendly, can speak English well and can help you if you have any inquiry. If you are in a budget, this can be the Guesthouse for you. Our stay at Seoul Dalbit Guesthouse cost about RM1,152.00 for four people for five nights, makes it RM228.00 per person. Seoul Dalbit Guesthouse located at the city center of Seoul, Dongdaemun, not far from Dongdaemun Design Plaza, Doota Mall and other tourist attraction places. 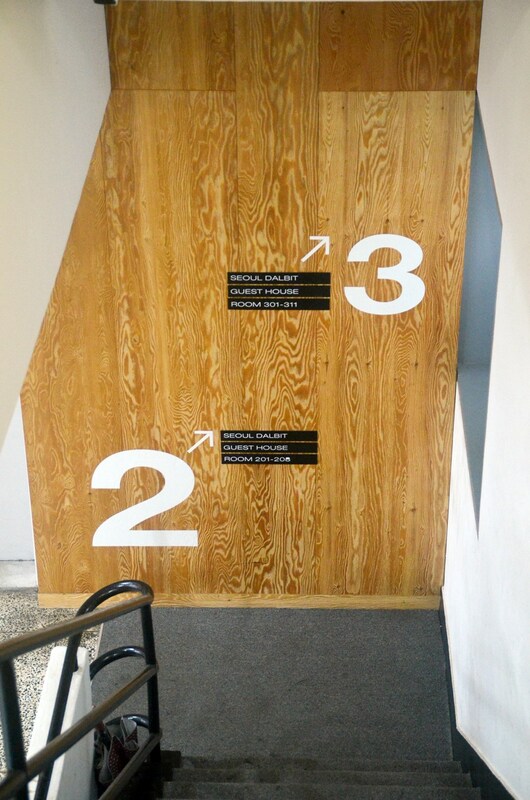 It takes only five minutes walk from Dongdaemun Station (Line 1 or Line 4, Exit #4). 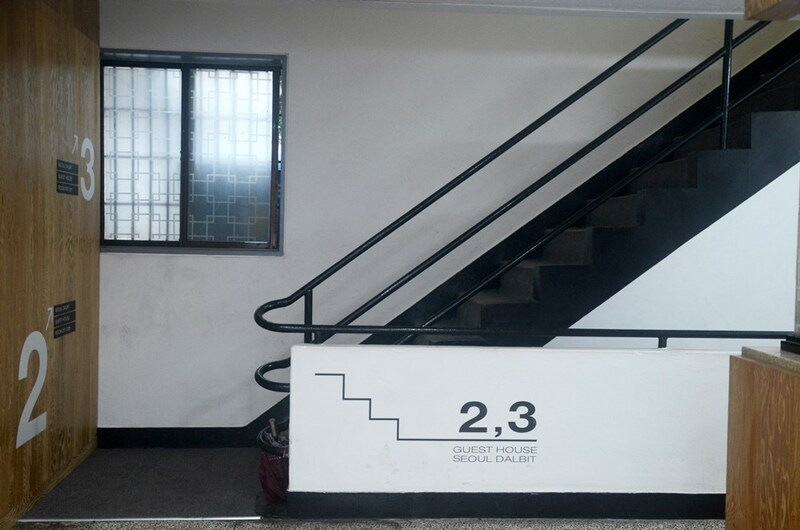 Click this link for the direction to this guesthouse. Though the street from the subway station can get dark if its already late, there are convenient shop like 7 eleven, Watsons and Medical Shop along the way from the subway station. Seoul Dalbit Guesthouse located in a three storey building, but only uses the first and second floor for the accommodation. The main counter, kitchen, laundry place and gathering place area located at the first floor. Our room was at the first floor which was so convenient to us because everything is near. What you get in a room for four people : 2 double storey beds, a private bathroom with hot and cold shower complete with shampoo and body wash, a long size mirror, place to hang clothes, a small cabinet to store your stuff, room air conditioner, room heater, a stool, two good morning towels, one hair dryer, television, and wifi internet. You can check out other rooms here. They provide room service, so you don’t need to clean your room and bathroom every day. All the room are complete with cozy bedding and pillows. Rooms are locked using the card system. You can use the computer provided at the gathering area. Good location. It is near to the subway station, 7 eleven is also around the corner. Good hospitality service. The host will help you to carry your luggage from the ground floor. They are so helpful and good looking too haha. Of course a clean room. Who like dirty and smelly room, urgh disgusting. Provided with laundry service. They have a washing machine there, all you need is to inform them and pay around 3,000 won per times and you can used the laundry. Once the clothes are washed, you need to hang and dry yourself at the second floor with the drying rack they provide. Free breakfast. They will serve breakfast at 8.00am till 10.00 am with cereals I think. Kitchen is complete with microwave, free flow cold and hot water, cooking area, rice cooker and rice too. It is convenient to those who are planning to cook during your stay, like we did. Limited room space. With the price, you only got a small limited space. This can be quite inconvenient if you have lots of luggage. You don’t have a cupboard or wardrobe where you can keep your clothes. No iron in the room. Please bring your own if you plan to iron your clothes. No dryer for wet clothes. As I mentioned, you need to hang your clothes yourself. If you plan to eat outside halal food, I am sorry there is not one near the guesthouse. Overall, I enjoyed my stay here at Seoul Dalbit. I wouldn’t mind staying here again as I really like the location of this place and the services they provide. Just perfect for my short trip in Seoul, keeping all the memories in the Guesthouse deep in my heart. Oh how I miss the smell of Seoul right now. Read my full journey in Seoul if you miss that out. 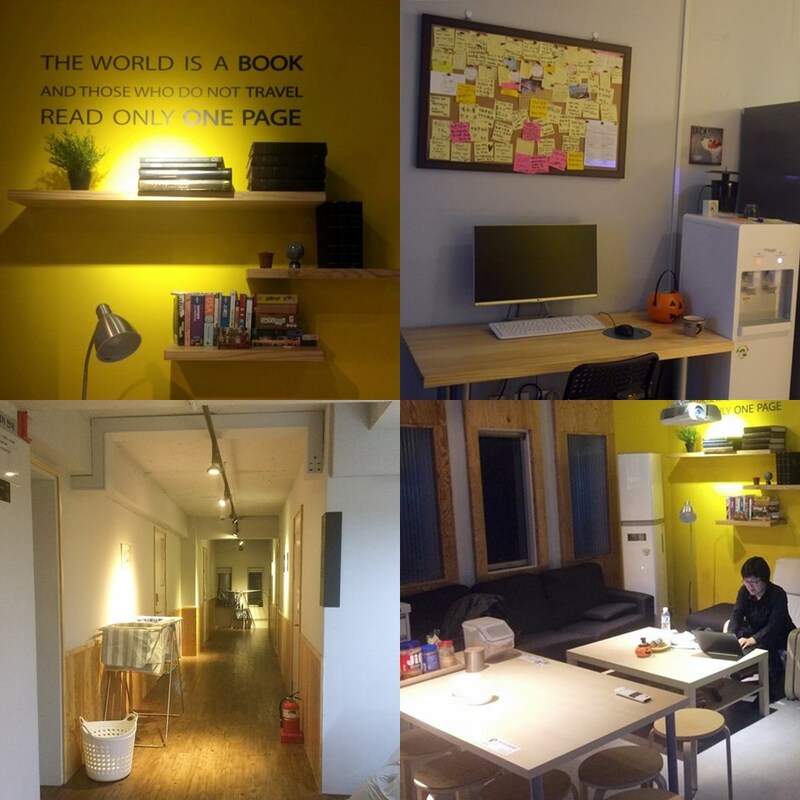 If you are interested or want a full view of Seoul Dalbit Guesthouse, click their official website for more. Have you been to Seoul? Where do you stay?